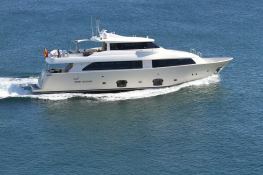 Malvasia is a 26M Ferretti yacht constructed in classic and contemporary Italian style available to charter in the Balearic Islands, acoomodating 10 guests. 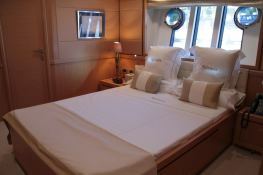 Malvasia has a main deck master cabin with an ensuite bathroom and access to the main lounge. 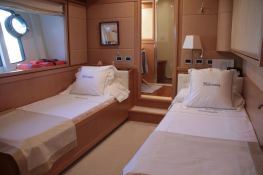 Four other cabins, each with en-suite bathrooms offer passengers great comfort. 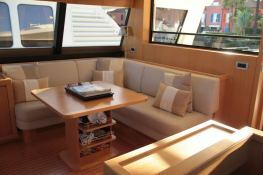 Malvasia has the rear a lounge with a large table, sofa and armchairs. 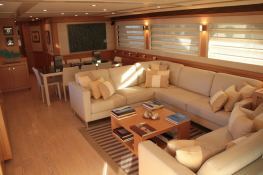 On the upper deck Malvasia also has many seats and is a pleasant place to take breakfast or a cocktail throughout the day. 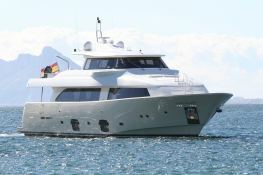 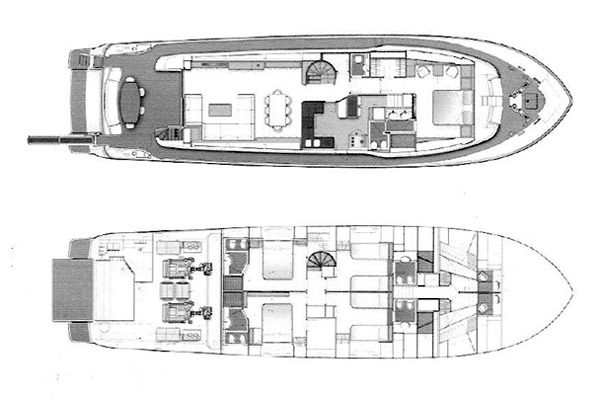 This Malvasia is available for yacht charter with a base price of 44 100 € (approximatly 49 734 $).